If you get lucky enough, you feel like you struck gold when you go thrift shopping. 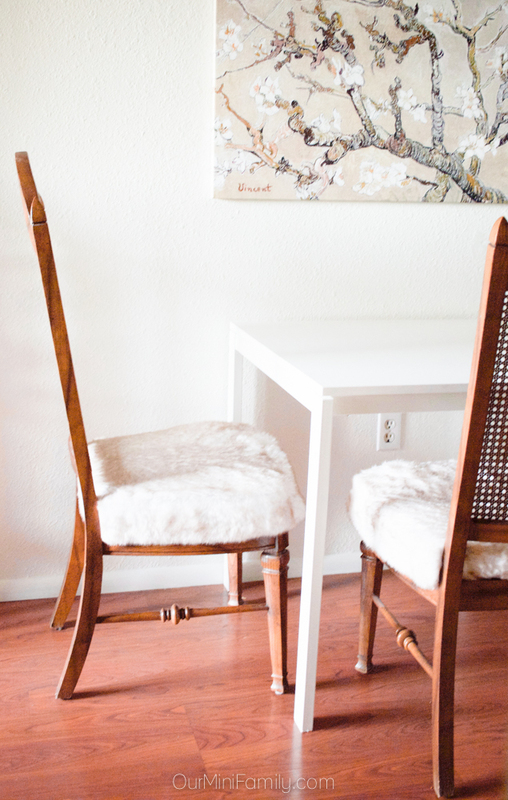 Today, I'm sharing these dining room chairs I found and how I reupholstered them into our own style for our home with neutral faux fur fabric! A few months ago, when we began moving into our first condo together, I found myself wanting to redecorate and redesign the look of our home. When we first moved into our Arizona apartment in 2012, we bought the cheapest furniture we could find since we had practically no money to work with and we had a pile of bills haunting our bank account for the first few months after our move. Not taking the time to invest in high-quality items led to broken appliances and worn out furniture. 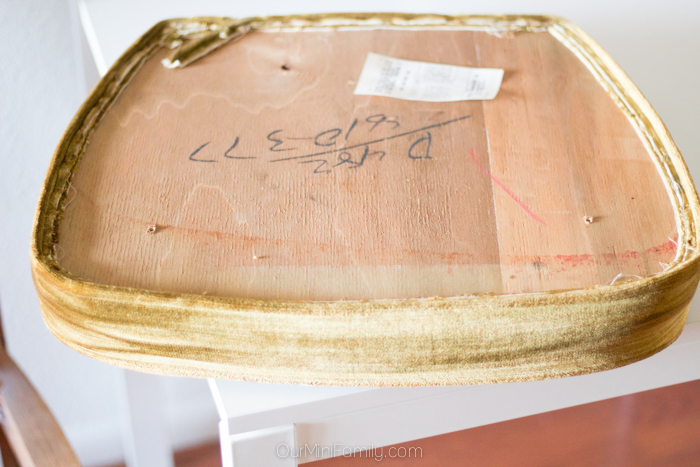 When we moved back in September, I made the decision to not take many of the older furniture items with us and forced myself to rely on my thrift shopping skills to find higher-quality items to curate and make a part of our new condo home! 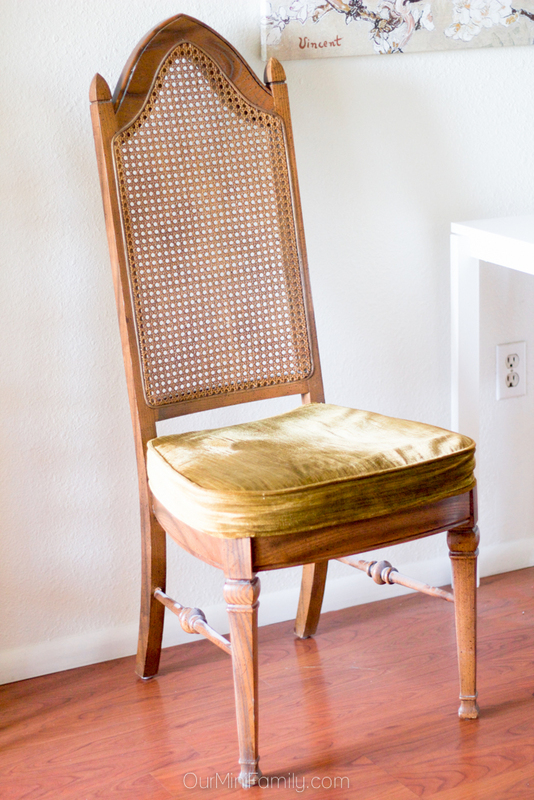 I transformed these $8 dining room chairs into furniture that felt at home with our other appliances, decorations, and our modern-meets-shabby chic style! 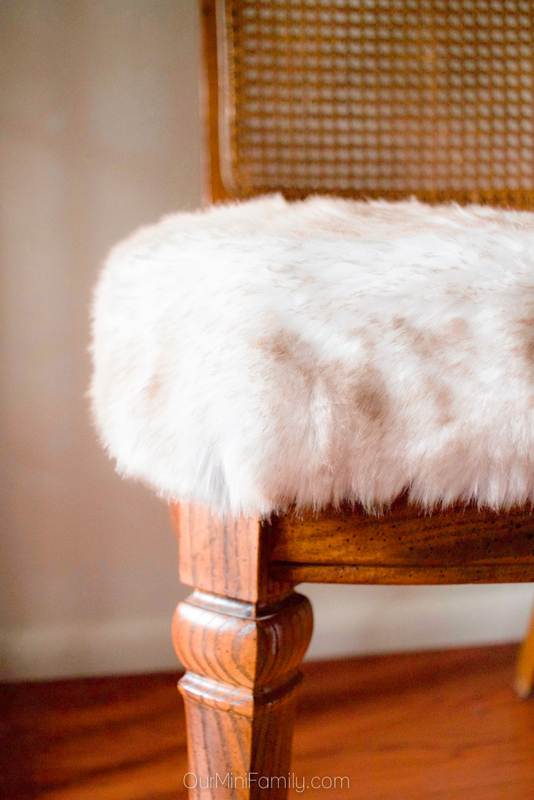 I used store-bought faux fur fabric to transform the seats into a more updated look and preserved the original fabric underneath as well as kept the original stain and classic wooden and wicker chair design. Finding the right dining chair is half of the battle! 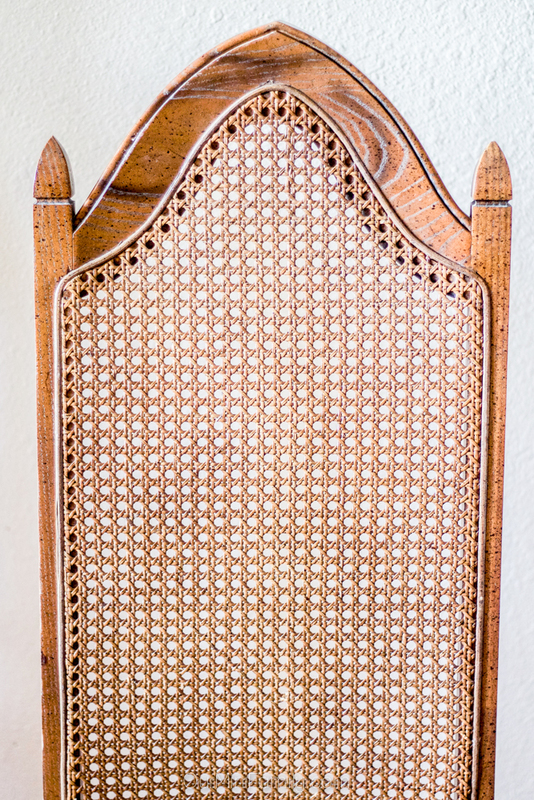 When you are deciding if the chairs are right for a reupholstery project, flip the chair upside down and take a look at the seat bottom. Do you see screws or nails? If so, this should easily allow you to remove the seat so you can reupholster the cover with a newer fabric. 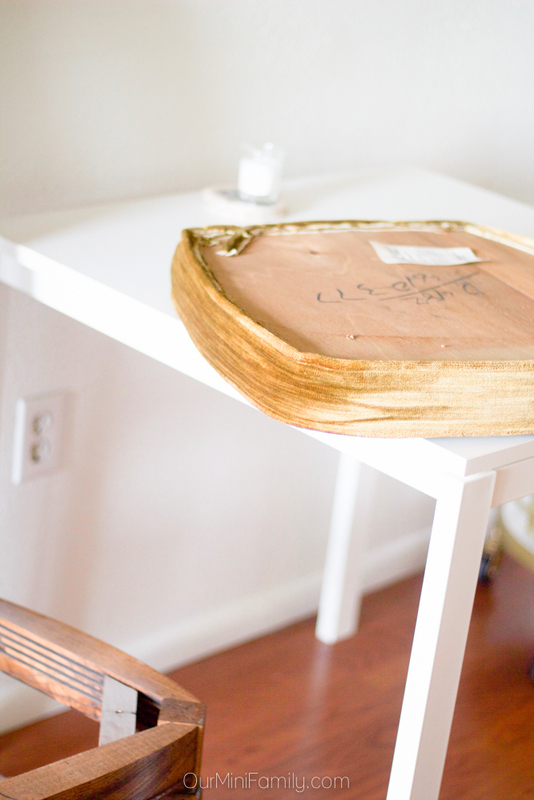 Whether or not you paint the furniture with a new stain or not is up to you! For these dining chairs, when I discovered how valuable they are, I opted to not alter their paint or stain in any way. I had a beautiful, neutral faux fur fabric I got from our local fabric store waiting for the right project and used it as my seat cover fabric for these chairs. Choosing the right fabric depends on your furniture needs as well as your lifestyle (e.g. asking yourself if the fabric should it be stain resistant, etc). 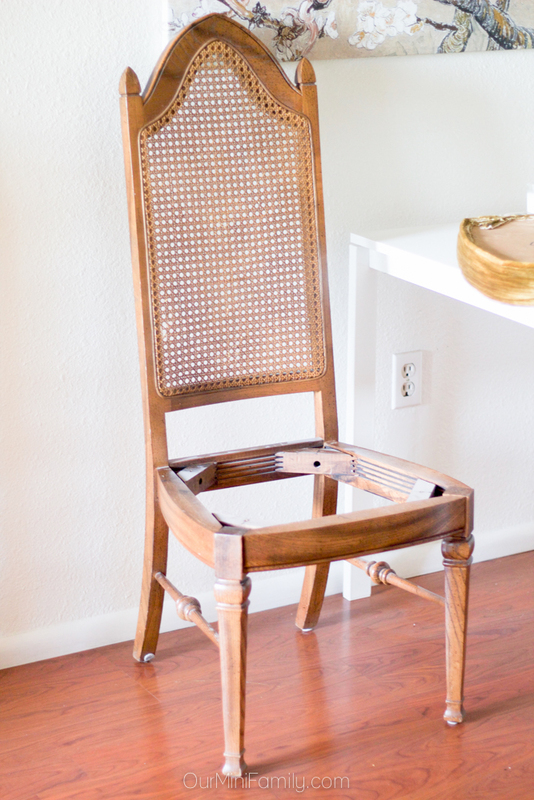 Use basic reupholstery skills to remove the seat with the tools necessary, dust and clean the chair itself, and use tools to attach any new fabrics or accents to the chair to make it new again! After doing a bit of research with the chair maker and serial numbers along the bottom of the seat, I came to learn that these chairs are valued up to almost $1000! This was truly the best thrift store find I had ever made, and upon learning about their turn-of-the-century history and their value, I was very careful in preserving their original stain as well as the original fabric underneath my newer fabric cover. Since my first ever reupholster project back when Adam and I got our first apartment together, I have sharpened my skills and gotten much better at preserving original seat cover fabrics and selecting furniture made with high-quality materials. 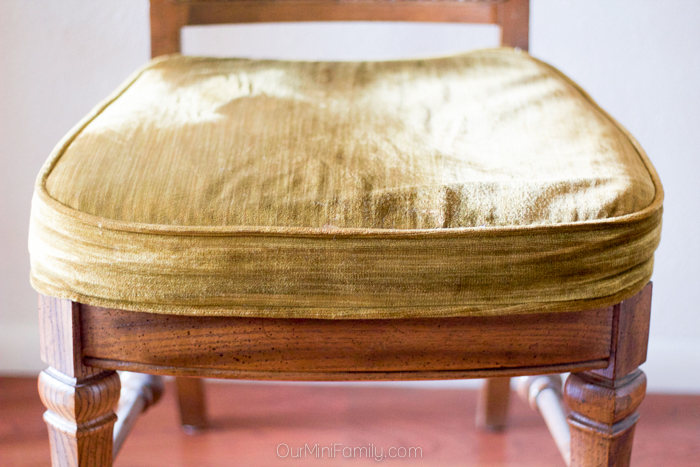 This set of faux fur, thrift store dining room chairs is my absolute favorite reupholstery project since I first started finding older furniture and giving it new life back in 2012! Did this reupholstery transformation inspire you? Share it with a friend! These chairs are beautiful! I wish I had the patience to do things like this. I enjoy thrift store shopping too. I love the fur that you added to the chairs --They look great! Very fun and cozy! Careful, your dinner guests may stay, LOL! Visiting from Mini Linky Party.